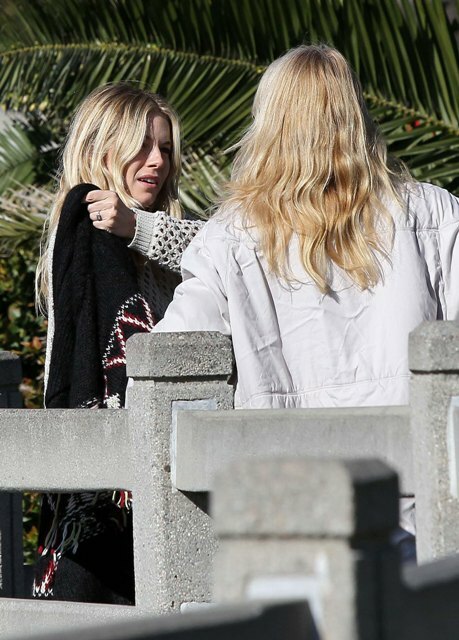 Sienna Miller is currently in LA, yes, because she’s been nominated for a Golden Globe for her work in The Girl. Have you seen it? It’s not a great film but she’s good in it and I was impressed. Sienna’s category is Best Performance by an Actress in a Mini-series or Motion Picture Made for Television. So she’s up against Nicole Kidman, Sigourney Weaver, Jessica Lange, and Julianne Moore. Julianne Moore, no question, is the class of the field. 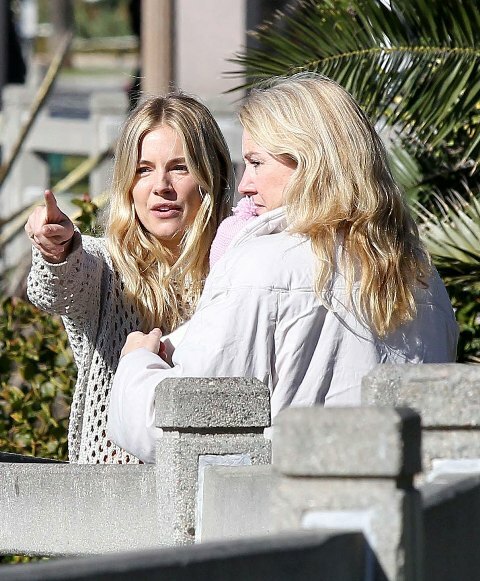 But Sienna in The Girl vs Kidman in Hemingway & Gellhorn? I actually go with Sienna. Based solely on those two performances, I’d go with Sienna. 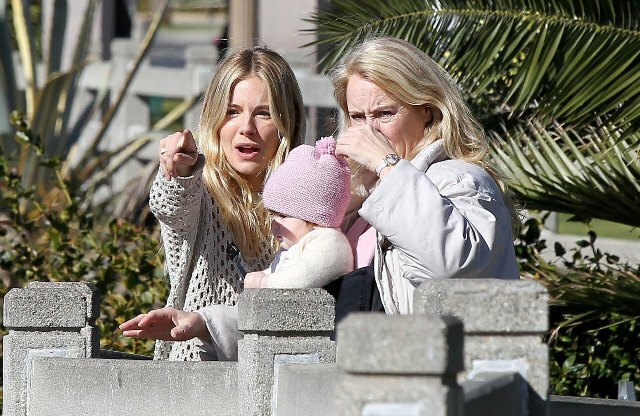 Here she is with her baby Marlowe and her mother (I think) in Santa Monica yesterday. You know, there used to be a time when Sienna would be good for some gossip and scandal whenever she hit up an award show and especially an award show party. Now? I care about what she’ll wear, but I don’t worry anymore, not at all, that she’ll be in the middle of the sh-t on Sunday night. 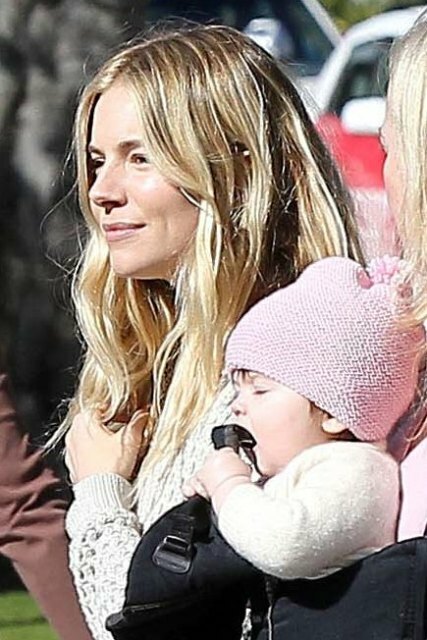 It’s amazing how motherhood turns some people into even bigger famewhores and some famewhores into the opposite. Nicole Richie is a good example. 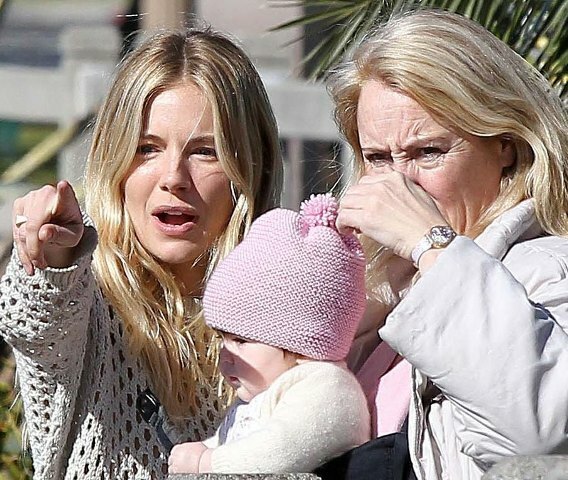 And now Sienna Miller too. Come on, those were two names you would never have predicted to go in that direction.